YES WE DID IT !!!!! The Saints are going to the SUPERBEAUX!!!!!!! What an amazing season. As a life long Saints fan this is the moment I've waited for. 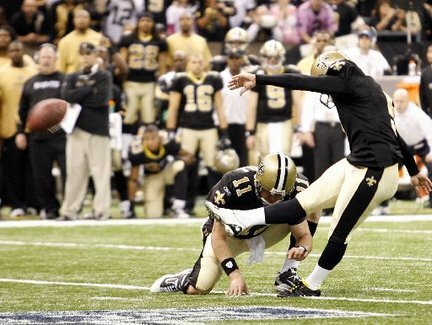 The best place to be to watch the Saints in the Superbowl is in New Orleans. So, now we have our Engagement Reception, Mardi Gras, New Orleans, and a great Superbowl Celebration! The game starts on Sunday at 5:30 pm, but the festivities will start long before that. We will announce Super Bowl viewing party soon, but it will be int he French Quarter area. Who dat? Who dat? 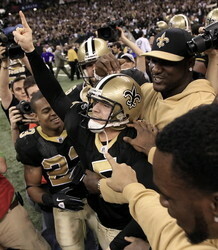 Who dat say dey gonna beat dem Saints! (You can greet a fan simply by saying "Who Dat." The Saints colors are Black and Gold. The official symbol is the Fleur Dis Lis.